If you are living with LAM, or are close to or treating someone who has this rare disease, we hope you will join us for the LAM educational symposium. 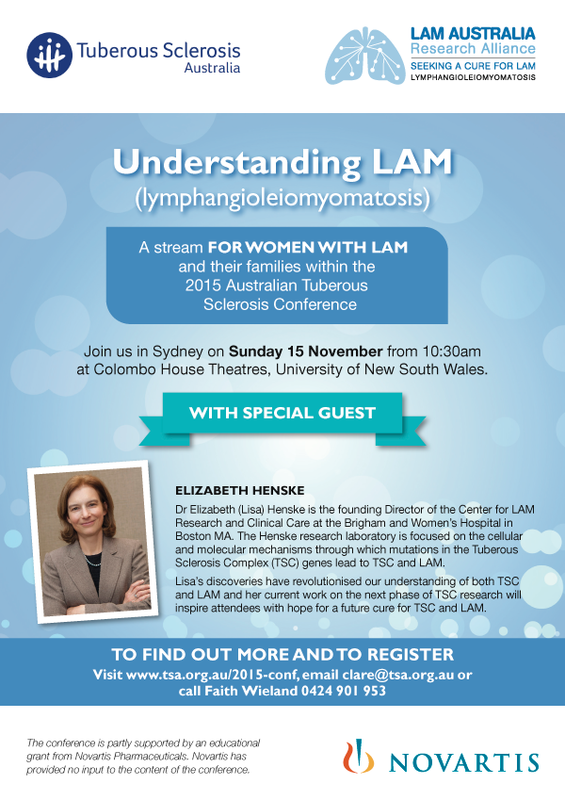 As you can see from the flyer, world-renowned LAM and TS researcher, Dr Lisa Henske is reporting on her latest discoveries. Due to generous funding from Novartis, the fee for attending is low. Travel assistance is available. 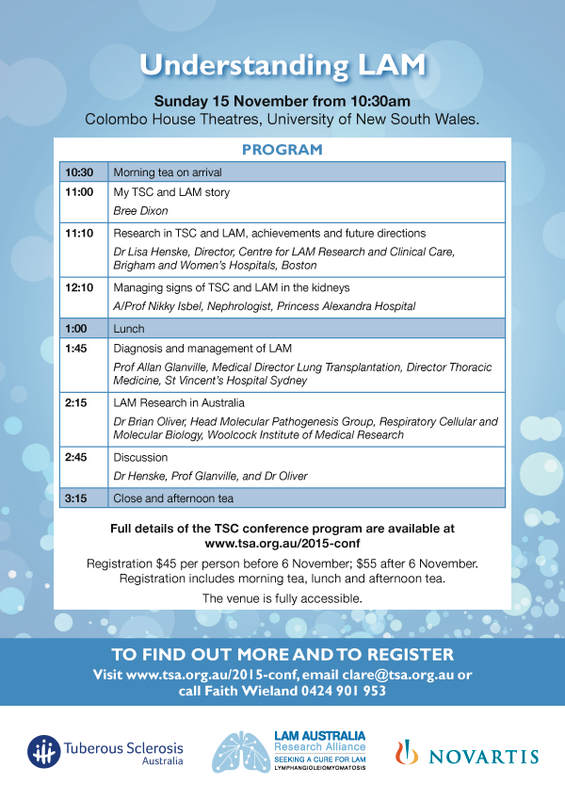 Our thanks to Tuberous Sclerosis Australia for programming special sessions focusing on lymphangioleiomyomatosis (LAM). Register right away www.tsa.org.au/2015-conf to take advantage of the early bird discount. Please also email admin@lamaustralia.org.au to let us know you’re coming. If you have any questions, please email us or call/text Faith Wieland on 0424 901 953.